Within hours of the announcement about the end of Star Wars: The Clone Wars, James Arnold Taylor (voice of Obi-Wan Kenobi on the Clone Wars) posted his thoughts about the cancellation of the series on his website. A brief excerpt of the message is posted below. "A call from Clone Wars Producer Cary Silver and our Supervising Director Dave Filoni, letting me know that for all of us, the Star Wars journey would be coming to an end. After nearly a decade of production and five seasons on the air, “Star Wars: The Clone Wars” as a television show, has been cancelled. My heart sank." Please visit http://www.JamesArnoldTaylor.com to read more. Within days of the announcement, James appeared on both the Full of Sith Podcast as well as a special episode of Rebel Force Radio. On the episode of Full of Sith, Katherine Taber (voice of Padmé Amidala on The Clone Wars) also appeared and shared her thoughts about the end of the series. 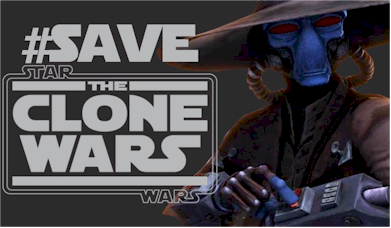 Check out both of these Star Wars podcasts to hear more of his thoughts about Clone Wars and the future.